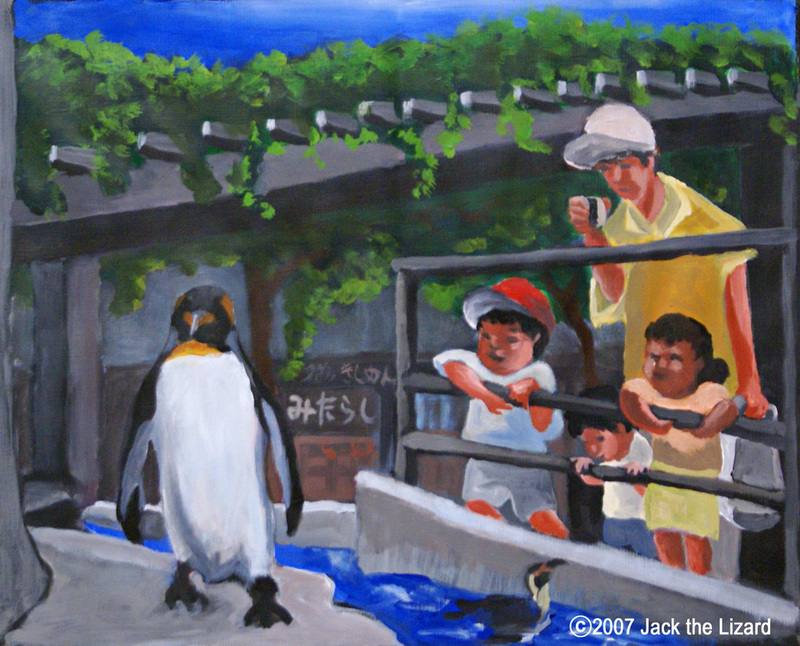 Special Report New Zoo Project Jack reported about the Higashiyama Zoo's New Zoo Project. Big Project has been under progress. 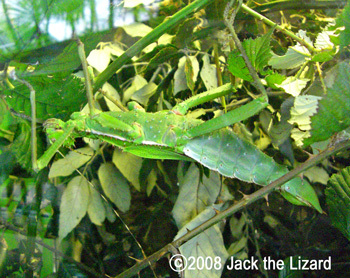 Higashiyama Zoo & Botanical Garden is located in metropolitan Nagoya. The zoo has been carrying on a big project, a re-creation of its animals’ natural habitats. The project will create several sites. They are “Asian Waterside”, “Asian Forest”, “African Savannah”, “African Forest”, “Ocean from the Arctic to the Antarctic”, and “Hothouse to Explore”. "The display method is not by herbivorous or carnivorous, but by geographic environment. The goal of the project is re-creation of the wild habitats and ecosystem where animals and plants grow in a balance", said Shin Inakuma, the manager of the project team. He wants to give more opportunities for the visitors to interact with animals. He visited many zoos in Japan including Ueno Zoo in Tokyo and Asahiyama Zoo in Hokkiaido to learn about the way that the visitors can feel and see the animals closely. Not only that, he researched the animals' original natural habitats. "A vast space is necessary especially for a large mammal such as an elephant", he said. I hope that the interaction with animals at the site 'Asian Waterside' can lead our visitors to think about the wilderness in South Asia. It's very important to protect it. That is our message", Inakuma said. "Asian Waterside" is the first site to come. The construction starts next year and completes in 2011. Kaziranga National Park of northern India is the model. The environment of the new site will be hot and humid, that is suitable for South Asian plants, weeds and animals. The Asian Elephants, the Water Buffaloes, the Indian Rhinoceroses will live here. What would you expect to see them doing here? 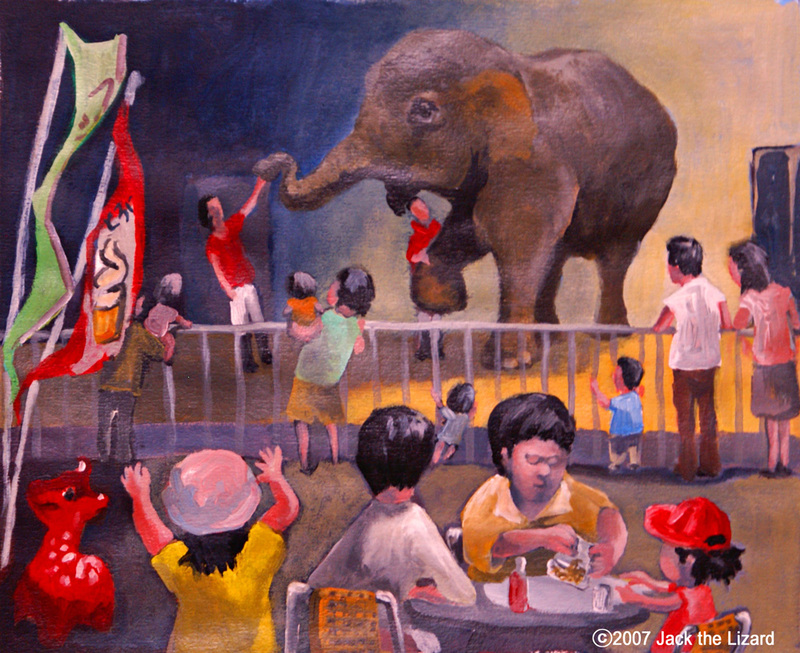 This project starts from "Asian Waterside", because the Asian Elephant has emotional value for Higashiyama Zoo. 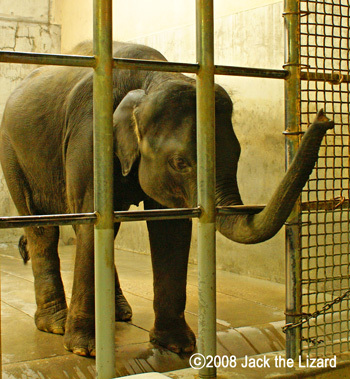 In Japan, only the two elephants of Higashiyama Zoo could survive during the WWII. 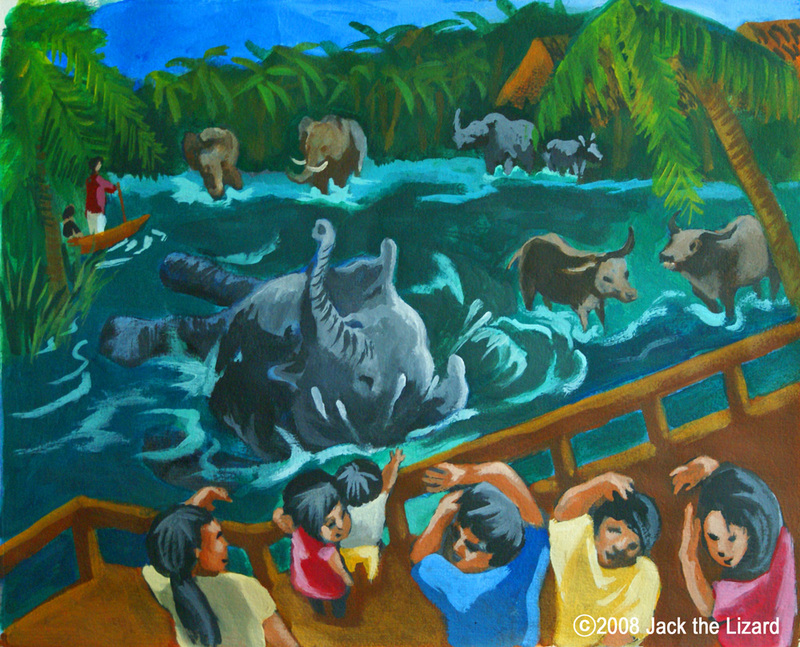 After people lost everything, possessions and loving family members, the elephants' survival encouraged a lot of people. Many children from other local cities in the country were invited to take "Elephant Express" to the zoo to see them. The story has been the legend to be handed down to generations. Two young elephants were sent from Sri Lanka for this project. The male is Kosara and the female is Anura. They have taken training to be able to communicate withe their zookeepers. What is "Hothouse to Explore"? "The large mammals like elephant and hippopotamus are overwhelming. Many children love them, and so do I", said Tatsuro Haraguchi, Chief curator of Higashiyama Zoo & Botanical Garden. 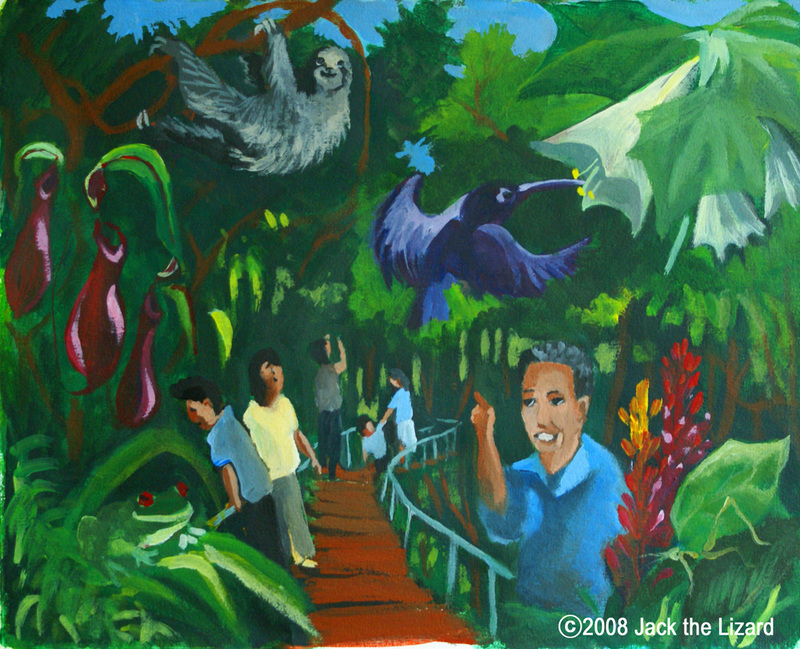 He visited the rain forest in Costa Rica. He found so much wildlife such as carnivorous plants, hummingbirds, the vivid coloured Poison Dart Flogs and camouflaging stick and leaf insects on a canopy walk. "I was very thrilled and excited to encounter a sloth. I got totally overwhelmed. I talked about it too much after I came back. Now the zoo stuffs call me 'sloth'. That's OK. Oh, well..... Yes, it's OK", Haraguchi laughed. He wants the visitors to the zoo will experience the similar excitement in the pavilion "Hothouse to Explore". Zoo helps you to connect our life and wildlife. The new method to display animals will be by the Continents. That way helps the visitors to understand better about geography, climate, the global environment, and wildlife. He also thinks about some entertainment for the visitors and animals. Tag-of-war with chimpanzees is one of his ideas. At Snack Time, the visitors feed giraffes or elephants. 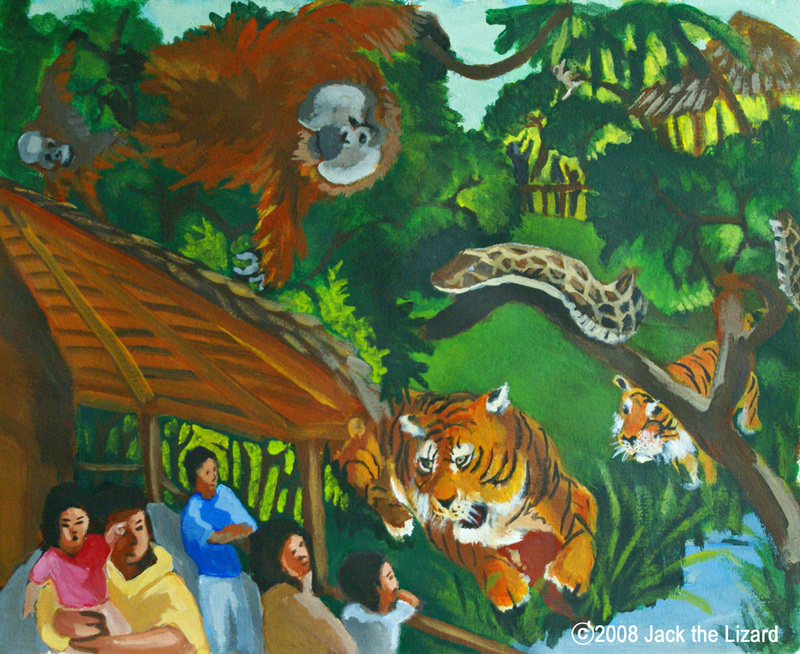 The zoo keep considering how human can interact with animals more to learn about them and love them. Nagoya City hosted World Expo 2005, "Love the Earth Expo". Convention on Biological Diversity will be hosted here in 2010. Not only the redesign of the zoo, a lot of ecology movements have been initiated from the city such as study of zoology and botany, conservation, education, and so on. 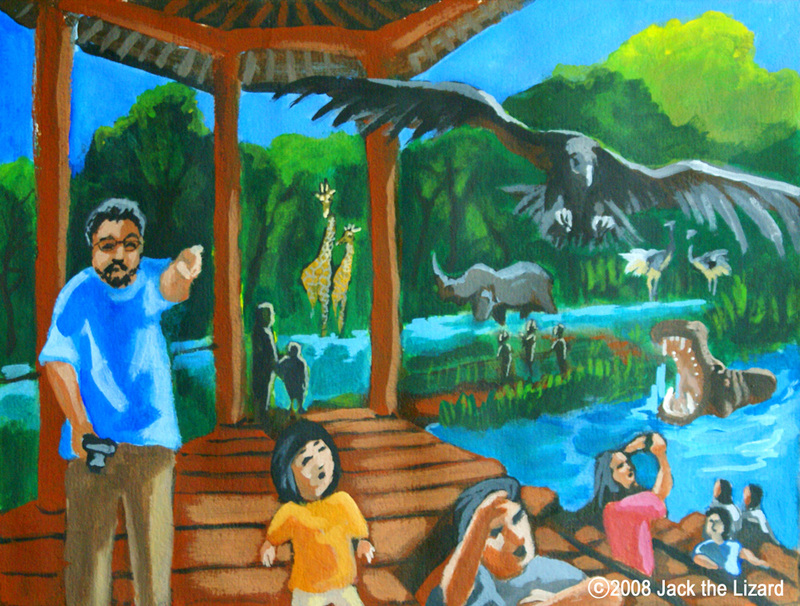 It seems to me that the future development of Higashiyama Zoo & Botanical Garden in Nagoya has so much potential to connect people living in urban area to wilderness. The Higashiyama Zoo is really unique. There are many standing bars and restaurants to satisfy your appetite. Why don't you try Kishimen-Noodles which Nagoya is famous for. The bearded Saki has a big head. 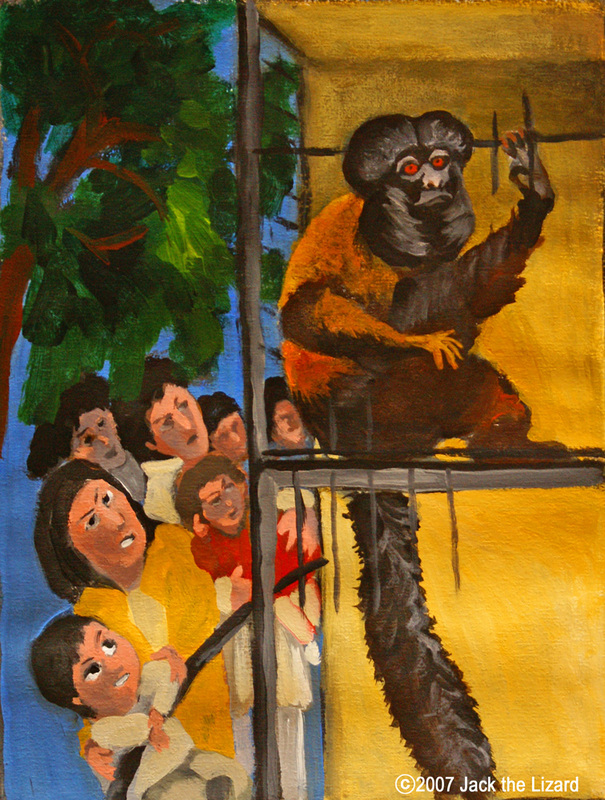 This monkey came from a tropical forest in South America. His big head remainds me a funny looking big toupee. His beard is very waby. What a hairy guy he is! His howling echoes in the zoo. 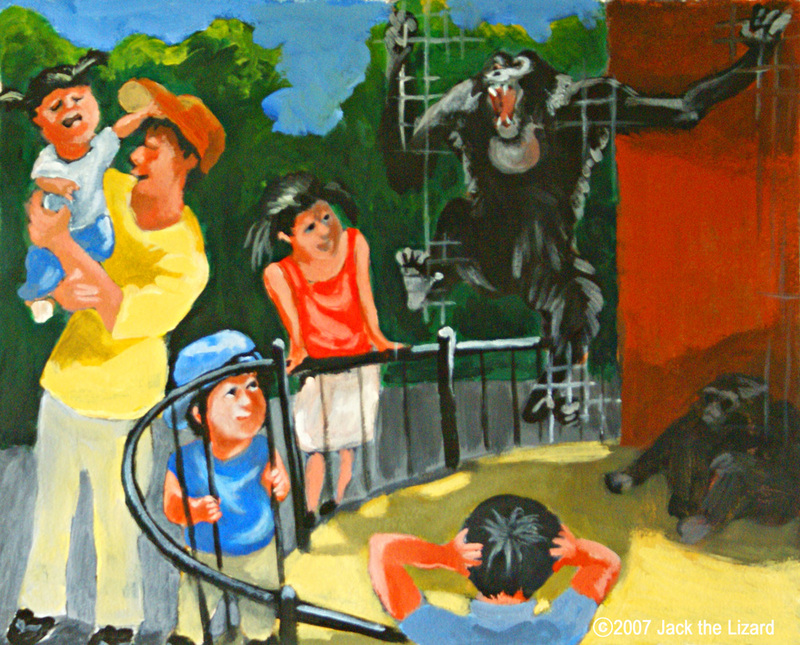 The Siamang, a Black furred gibbon, sometimes howls so loudly that it makes your ear hurt. His upper chest expands just like a balloon and he creates a huge sound. His howling is like a funfare and attracts more people. Some people are covering their ears to figure out what’s going on. As more people come, the howling becomes louder. We can stand at the same height as him! The King Penguin stands on the highest point of his little world to survey his Kingdom. From the same height, you can see his comical waddling walk. The Humboldt Penguins are playing in the water. Busy eating and busy watching.